I love all the holiday season get-togethers and little gift exchanges but I do not love the drain on the budget. I have discovered a way to remember all those friends and neighbors without breaking the bank. Since “busy” describes at least half the adult population, homemade is a luxury many don’t have the pleasure of indulging in. That makes a baked delicacy a welcome bestowal. And if it is something that stirs warm memories of a long-ago favorite and looks festive at the same time—you’ve got a winning gift idea. But a couple of caveats: it must truly taste and look like something special. Besides being better for you, quality ingredients make a real difference in the outcome of a recipe. I’m persnickety. 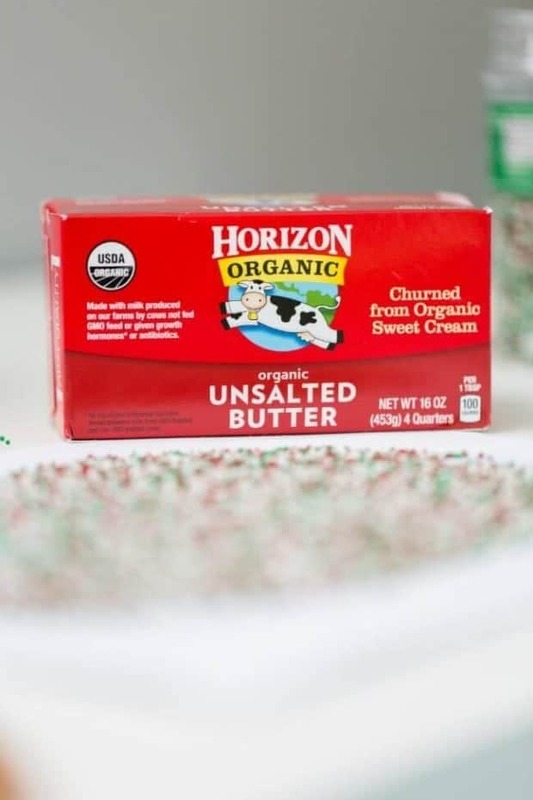 I like using Horizon organics in my baked goods because I feel like I’m giving the best taste possible. 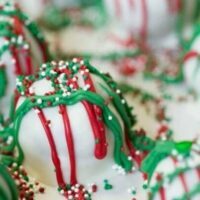 These Gingerbread Truffles come out amazing. 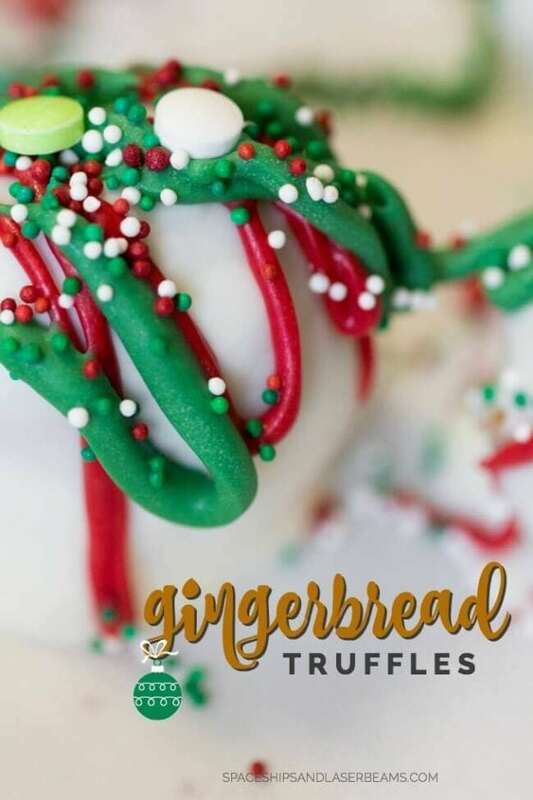 You get that awesome nostalgic gingerbread flavor without needing to roll and cut out the cookie dough. They look super, too. And before you give the entire batch away, you must allow yourself a few nibbles. I recommend Horizon Organic (lowfat) Eggnog for washing down these little yummies. Remember to pop these colorful truffles in a fun container for your gift exchange. Presentation is part of the gifting experience and plain plastic bags don’t do much for spreading holiday cheer! In bowl of a stand mixer, cream butter and sugar. Add molasses, vanilla and eggs; mix on medium low until well combined (mixture will appear a little separated). Stir in baking soda, salt, ginger, cinnamon, cloves and nutmeg. Gradually add flour; mix until just combined. 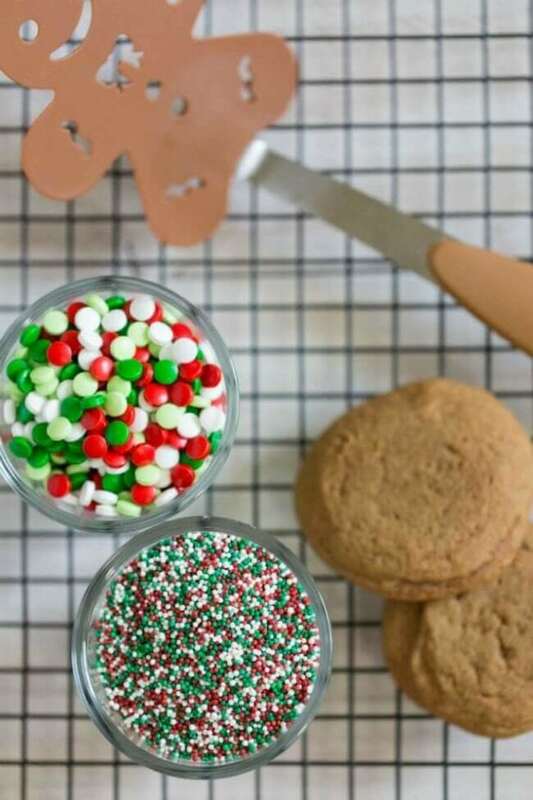 Use cookie scoop to spoon large balls of dough onto cookie sheet. Press down on dough to flatten it. Bake for 9-10 minutes at 375. Once cookies are cool, add 24 cookies into an electric mixer stand; add cream cheese. Turn on low; combine until cookies are completely broken up and mixed with cream cheese, forming a ball. 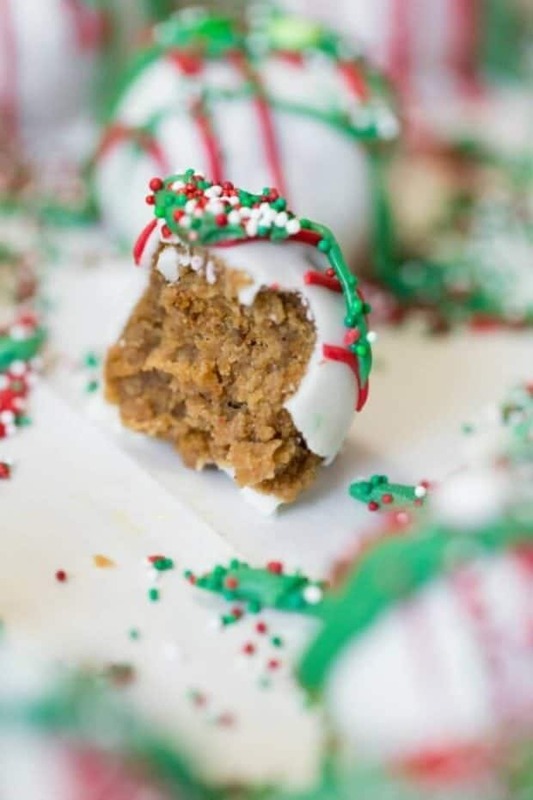 Use small cookie scoop to form balls. 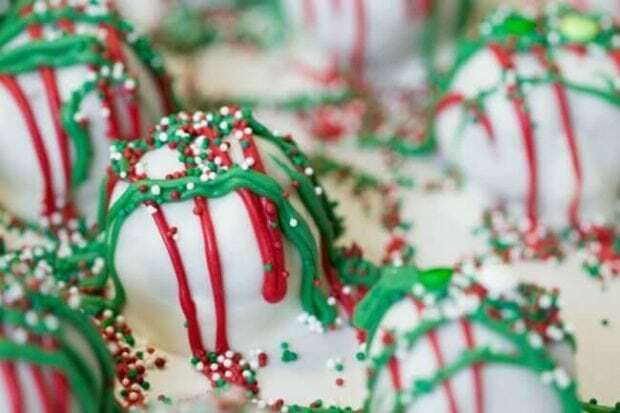 Place balls on baking sheet lined with parchment paper and freeze completely. Place truffles back on lined baking sheet. Melt red and green melting discs; drizzle over tops of truffles and add sprinkles. Let harden on counter. Place in freezer bag and return to freezer until ready to serve. For more holiday ideas, check out Horizon on Facebook, Twitter and Pinterest.